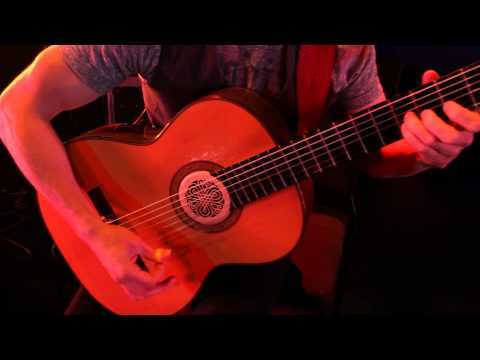 "The House of the Rising Sun" - by duo "Montana Skies"
An excellent work of the duo "Montana Skies" ( a duo of six string electric cello and guitar. Montana Skies combines the full spectrum of an orchestra crossed with the energy of a rock band): They perform a very interesting arrangement of the song "The House of the Rising Sun", with marvelous guitar and cello playing. "The House of the Rising Sun" is a traditional folk song, sometimes called "Rising Sun Blues". It tells of a life gone wrong in New Orleans; many versions also urge a sibling to avoid the same fate. The most successful commercial version, recorded in 1964 by the British rock group the Animals, was a number one hit on the UK Singles Chart and also in the United States and France. As a traditional folk song recorded by an electric rock band, it has been described as the "first folk-rock hit. Like many classic folk ballads, "The House of the Rising Sun" is of uncertain authorship. Musicologists say that it is based on the tradition of broadside ballads, and thematically it has some resemblance to the 16th century ballad The Unfortunate Rake. According to Alan Lomax, "Rising Sun" was used as the name of a bawdy house in two traditional English songs, and it was also a name for English pubs.. He further suggested that the melody might be related to a 17th-century folk song, "Lord Barnard and Little Musgrave", also known as "Matty Groves", but a survey by Bertrand Bronson showed no clear relationship between the two songs. Lomax proposed that the location of the house was then relocated from England to New Orleans by white southern performers. However, Vance Randolph proposed an alternative French origin, the "rising sun" referring to the decorative use of the sunburst insignia dating to the time of Louis XIV, which was brought to North America by French immigrants. "House of Rising Sun" was said to have been known by miners in 1905. The oldest known recording of the song, under the title "Rising Sun Blues", is by Appalachian artists Clarence "Tom" Ashley and Gwen Foster, who recorded it for Vocalion Records on 6 September 1933. The post Customers are Making Traditional Transport Movement Obsolete, Fast appeared first on ReadWrite. The Indigenous meteorology of Australia, knowledge on weather, calendars and climate. Comparto este documento lleno de nostalgia. 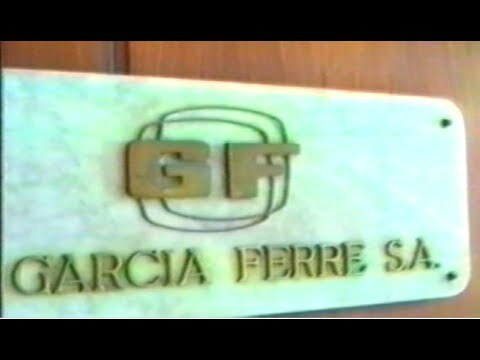 Se trata de un video filmado por Jorge Marinucci, que nos muestra como eran los estudios de García Ferré, en donde se hacía la revista infantil “Anteojito” y se filmaban los largometrajes y series con calidad técnica más alta que haya tenido la Argentina. Gente organizada, dinero para hacerlo y productos de calidad. Trabajo artesanal en equipo. La revista cerró en 2001 y, desde la muerte de su director, los estudios permanecen cerrados. Gran parte del material se tiró a la basura. Comparto este documento lleno de nostalgia. Se trata de un video filmado por Jorge Marinucci, que nos muestra como eran los estudios de García Ferré, en donde se hacía la revista infantil "Anteojito" y se filmaban los largometrajes y series con calidad técnica más alta que haya tenido la Argentina. Gente organizada, dinero para hacerlo y productos de calidad. Trabajo artesanal en equipo. I hope you enjoy no. 6 in my Sunday Papers-an experimental series of for-one- day- only videos. This is the first edition as gaeilge, a #traditional #song in the Irish language. This beautiful song I think hails from the North East, Tír Orighiall is mentioned, a place nowadays corresponding to South Co. Armagh and North Co. Louth. It's a heart broken number called 'Bríd óg ní Mháille.' (Young Bridget O' Malley )Bainigí sult as!. Ger. https://www.minds.com/newsfeed/908319647906304000 #News #Traditional #Europe | @ TheJusticeCode i agree good to see europe fight globalism elites. I love what people can do using KRITA. Gosh this is well done. It is the first time in the country that distributed ledger technology will be used to offer online voting options. An awfully high price for something that doesn't even work. Quod.us is a place to report misinformation online. At the Seams was the museum’s first international “satellite” exhibition that opened on 25 May, 2016 at Dar el-Nimer for Arts and Culture in Beirut, Lebanon. Textile arts have been of unique importance in the Middle East since antiquity. In every age, the crafts of spinning, weaving, dyeing and embroidery have been held in high esteem and their traditions have changed relatively little over time. This is demonstrated eloquently in Palestinian costume styles, which have remained virtually unchanged over many centuries. Around 1500 BC, the land that would later be called Palestine became known as Canaan, “The Land of the Purple.” Its Semitic inhabitants decorated linen and woolen cloth with a precious purple dye extracted from murex sea-snails, and these textiles were prized trade items around the Mediterranean. In Palestine, the traditional style was itself influenced by the important nearby textile centers of Syria, famous for their silk weaving since the fifth century. Syrian fabrics were used in many Palestinian costumes, and Syrian traditional dresses share a similar repertoire of motifs with their Palestinian counterparts. The influence of the Arabian Peninsula is seen in the ornate silver jewelry brought in by trade and incorporated into the Palestinian costume. Although the influences on Palestinian costumes have been numerous, the end result is a legacy that is uniquely and distinctly Palestinian, transcending its role as an art form to become a symbol of Palestinian identity. The ancient embroidered patterns bore symbols of hope, prosperity, good health and protection, and had traditional names that reflected natural features: the moon, the cypress tree, the tree of life, Bethlehem Shatweh, 1900 the bird of paradise. Though every woman could express her creativity by her choice of patterns and their arrangement on the dress, each region of Palestine followed its own distinctive stylistic rules. Embroidery of costume and home accessories was done—and still is done—by women who preserved the traditional patterns by copying older dresses. In so doing they created costumes of lasting beauty that have earned a special place among the ethnic folk dress traditions of the world. More significantly, this tradition of Palestinian needlework has kept alive ancient styles and symbols that have provided us with a unique window to the past. The Jerusalem area dresses were made from predominantly striped silk fabric imported from Syria, famous for its textile production centers. Some dresses of this area were made from velvet (mukhmal) fabric imported from Europe. Blue, maroon and dark red velvet fabric was popular for dresses of this area and the region around Lydda and Ramleh. Syrian fabric used in making these dresses was known as asawri, ghabani and qasabi. The embroidery on the sleeves, chest, side and back panels of the Jerusalem dress were embroidered in Bethlehem style couching stitch. The side skirt panel and the pointed sleeves were embroidered on stripes of green with red, or red and orange taffeta inserts that later were stitched to the dress. These dresses have been worn in villages bordering Jerusalem including Silwan, Lifta, Malha, Ain Karem, Kalonia, Beit Safafa, Al Ezariyyeh (Beit Ania), Beit Hanina, Shu’fat, Deir Yassin, Beit Horon, Al Jeeb, and Abu Dis.